The news is not new and been floating around here on web since March 2009 that Facebook is getting a steady rise in India while growth of Orkut getting slower. I thought to write over it, when something attracted me to Facebook recently. It was addictive Farmwille application, which got kind-of-craze among my colleagues in recent days and when the craze finally got me, then I was surprised to see many of known faces on Facebook. I was also impressed with this particular application in the way its single handedly keeping users engaged in each hour and also luring more to join. Orkut and Facebook, but Orkut always remained prime for me. In fact, I was logging into Facebook once in a while in month only, while Orkut was part of daily habits from Home, from Office, from Mobile. I kept on hearing about national/ international celebrity profiles on Facebook and getting search results showing Facebook profiles, but still it was not able to lure me as I didn’t thought that its offering me anything more than I getting from Orkut, specially after recent makeover of Orkut. Privacy: There is a lot of buzz about this and many people choosing Facebook over Orkut, because of this only. Initially, as per generic philosophy of Google, it was to be open for all means one has to be shown as he is with all others. Scrapbook, photos, Friend Network and Profile info, everything was open to all. So, it was an open world, where you could contact and know about others in the way, they want to tell the world they are. 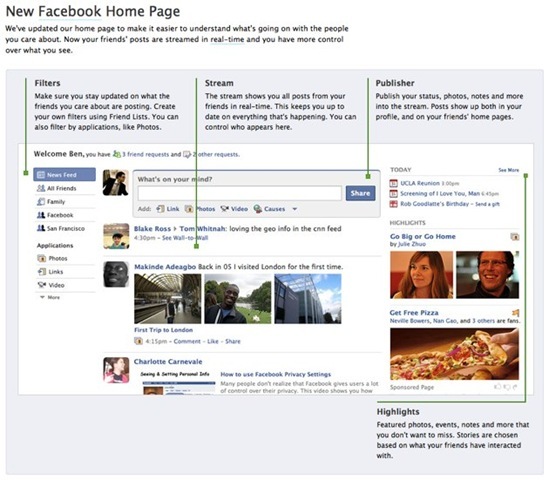 In Facebook, by default only your friends can see your profile. The others can only see your name and thumbnail (reduced version of the profile picture). Nothing more. 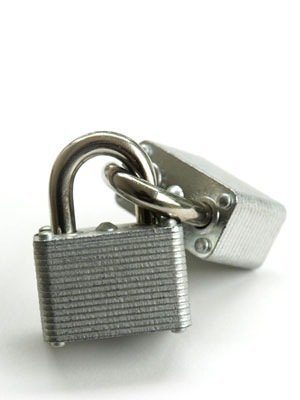 In addition, you can always configure the options for privacy as deemed appropriate. But many times it happens that you wanted to be open for some people and for some, you want to remain closed shell. Like celebrities or popular people, if everyone is allowed to write to them, then they wont be able to use these social networks coz of spam. So, later on, Orkut added some restrictions like only your friends could write in your scraps or could see your photos/ videos (in case of photos, restrictions could be categorized per person basis). Although somewhere I find these step more of caused by market demands than the original philosophy. More or less, people called it a welcome step, but still Orkut kept it more open than Facebook. As a step to answer demands, I think Orkut really needs to provide some more detailed Privacy configuration options. 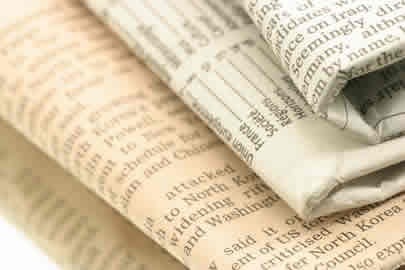 Like scrap book could be managed to open for people/ groups only we want, others could only read their scraps only or not even could write. Same for new feeds, photos, profiles and other features. Specially, where Orkut needs to look out is restriction over profile view. Even if I liked the larger profile pics, some might not and moreover, they might not be wishing to roll out their information for all. Although as being a technocrat, I understand the difficulties lying under such a big change as it will require to change the root way, Orkut stores information for users, which will not be a simple task. Publicity: We really find Orkut keeping itself low profile in comparison to Facebook, which although been a philosophy of Google about all of its products. Google always placed its products on top without too much going into media on the basis of its own unmatched set of features only. While this strategy worked for most of the services, might be reason of failure in case of Orkut. Facebook really has a strong media presence and in other part of world, we really could find many people, who might not even heard of Orkut. It’s really high time, Google should think about Media presence of Orkut even if Google doesn’t want it to be a Business Website. Although I also know the implications that it’ll also lead to brining more ads to Orkut in the way Facebook has coz no point in investing in media management, if you are not making high business use of the same. 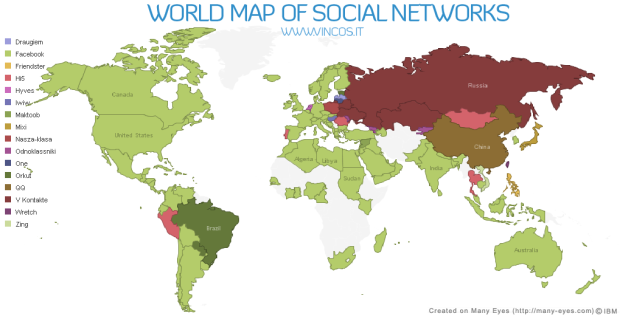 But still I am looking for Orkut to be heard in most part of the world. 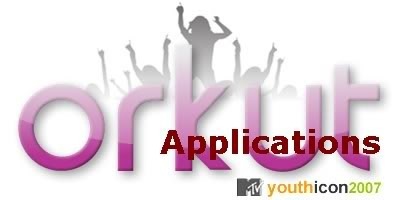 Applications: This is really becoming the bottleneck of the equations between Orkut and Facebook. Even if Facebook already been an established brand, now in India, its getting an high very much due to its diverse applications. Orkut also has few applications, but those are really few and none are kind of engaging in the way Facebook has some like Farmville and Mafia Wars. As I said this is bottleneck, so Orkut should really do something about it, not today, but now. Restricted Networking: In case of Facebook, if you wished to join Community of your Company Network, then what you need a genuine corporate email id, otherwise, it wont allow you to join, while in case of Orkut, its maximum level is moderator’s approval, whose task goes tough, if company is spread around world and moderator has no efficient and effective way to evaluate in real time. For some it might be, but as per my view, Orkut should not bother about such a feature. Orkut was not an Official Place sort for Corporate and communities were created by users only not from Corporate itself. It was not business world, but was an open and simpler world and I wish it remain open in the same way, coz this was the reason, Orkut was liked and grown even when MySpace and FaceBook were already giants in other parts of world. Design: Some find Orkut’s design as a benchmark, while some says same for Facebook. When I joined Orkut, then it was due to its decent and simple blue theme and even this was the tagline then. Although as per demands, it changed its way. I really dont know yet, if Facebook has something like scrapbook, where actual conversations flow and sometimes, you could get an idea about people by their scrapbooks, while Facebook kept it around newsfeeds, which might be many at a time as per size of your friend list. 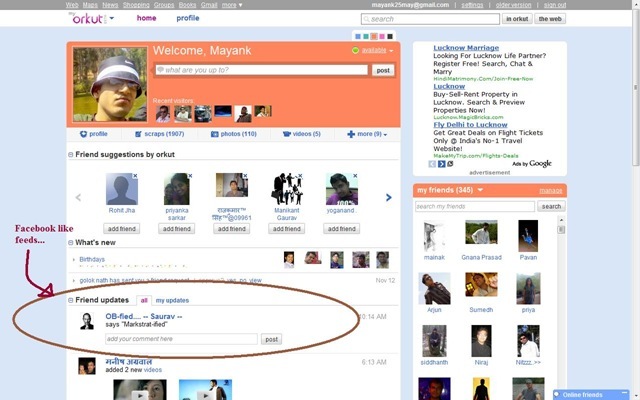 Though Facebook had an advantage earlier to keep most of the things limited to one page only, but new look of Orkut made it compete in that way as well. I really find nothing to change from the root about Orkut design right now. It should grow with its own learning curve as being done in past. 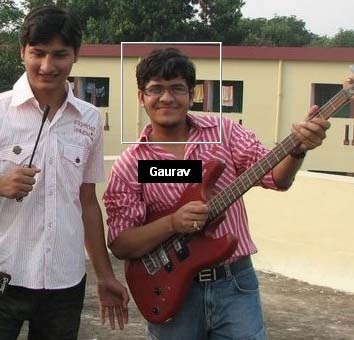 Photo Tagging: Although that was an area, where Facebook started, but Orkut got it more better with face recognition. In facebook, you find the face manually, while in Orkut it does the same automatically and recent makeover of Photo updates make it scoring higher over Facebook. What I am really looking for as an addition to Orkut Photos system, is its integration with Picasa & Picasa web. I means you could sync your Orkut album with the one you own at your home and upload photos from Picasa to Orkut. I know Orkut could do this due to integration of its services and really looking for, when this change will happen. But still I find status updates/ news Feeds an area of improvement for Orkut as now. Status updates a.k.a. News Feeds are more configurable, innovative and richer in Facebook right now than Orkut. A must feature, I will be looking for the next improvement in Orkut. At the end, I really dont wanna see “Bad Bad Server, No Donuts for you” again. Not finished Yet …. I really want readers to add up more and more suggestions for betterment of Orkut. Please do write. From keeping a note on who views our profile to secretely chatting with your crush being an unknown,we all evolved.Read more related facts in the blog below.